Meet Team Girl Scouts Boston Marathon runner, Sally Johnson! The Boston Marathon is the oldest and greatest marathon in the country and in my eyes it is the ultimate experience for a distance runner. Running is a sport about individual improvement and you learn a lot about yourself while running. 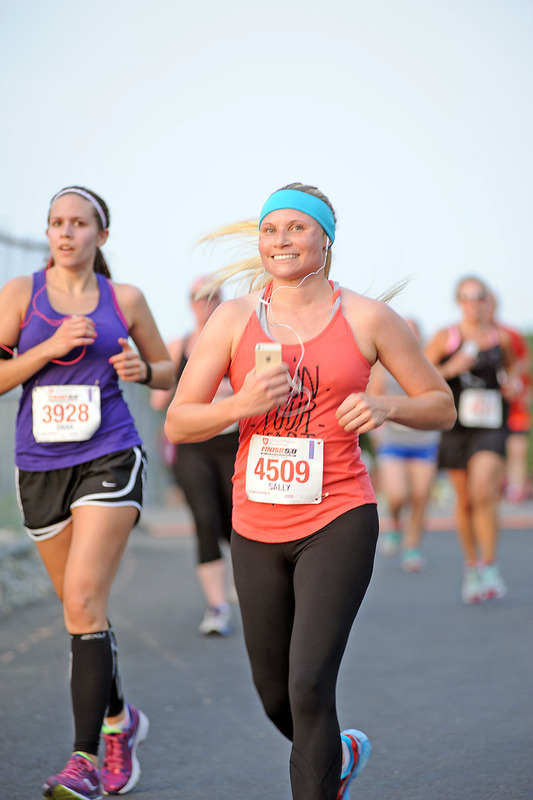 I’ve been running for 16 years and I run for a variety of reasons—it’s a good stress reliever, a way to work through my internal struggles, and a mood booster! My running career includes numerous 5ks and 10ks, and 4 half-marathons. This year’s Boston Marathon will be my second full marathon. I ran for Team Girl Scouts in 2016 and was equally humbled and proud to represent the organization that was an integral part of my life for almost a decade. I was a Girl Scout in the Montachusett Council (Worcester, MA) from Brownie to Senior and earned my Silver Award in 1997. The values and self-confidence skills I learned in scouting have gotten me to where I am today and I consider it an honor to give back to such a wonderful organization. Running on Team Girl Scouts allows me to show girls everywhere that if you put your mind to it, you can accomplish great things! I am not an elite or “fast” runner and I will never be. I was born with Congenital Hip Dysplasia and had two hip surgeries when I was younger to correct my hip. Despite the odds, I finished the Boston Marathon last year! If I can inspire just one girl to believe in herself and go “against the odds,” I will know that I did my job as a member of Team Girl Scouts. We are so proud to have Sally on Team Girl Scouts again! If you would like to support Sally’s fundraising efforts for healthy Girl Scout programming, visit her fundraising page.